Total Mail Converter is a great app to save emails as PDF, Doc, Tiff or text files. It can process hundreds of thousands emails at a time via graphic interface or command line. Either you need MSG to PDF or EML to PDF conversions, the program can help you. It can produce searchable PDF, non-searchable PDF or PDF/A. 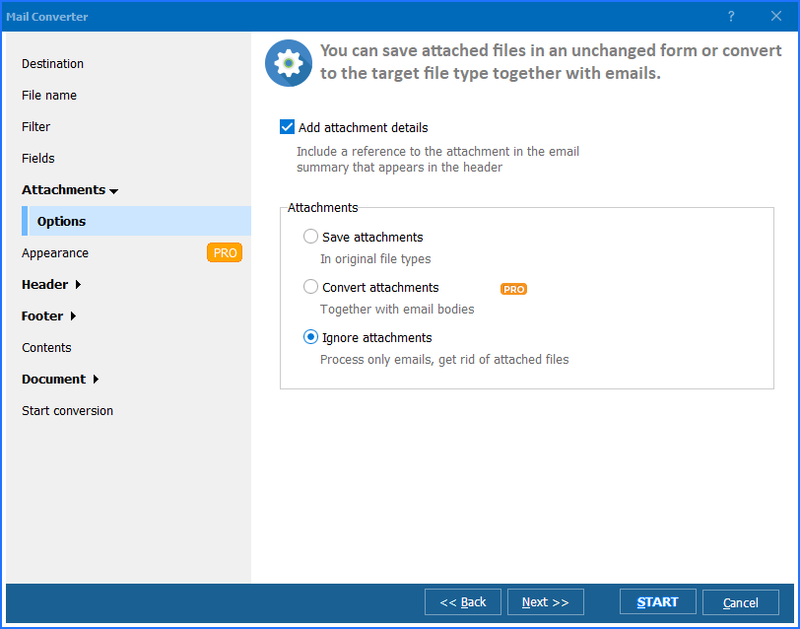 Total Mail Converter converts emails to PDF in batches, so it's crucial to have flexible settings. Total Mail Converter provides everything to get the output PDF files the way you need. For example, it will give descriptive names to output files and attachments. This way you will always know which attachment refers to which email. Or it can embed attachments into the final PDF. Then the header of the PDF will contain the filename of the attachment. In a PDF viewer this is a clickable link that will open the attachment in its associated program. You may also want to save attached files in the original formats in a new folder. The Pro version converts attachments to PDF as well as emails. Paralegals, lawyers, secretaries need to stamp bates to the client's MSG files. Total Mail Converter can help them too. Bates are fully customizable (font, size, position) and there are several predefined stamps ("confidential", "for attorneys eyes only", etc.) that can be easily added to the PDF files. The accurate pagination will also help you to sort out the files. Total Mail Converter can add page numbers to all pages of your resultant PDFs. Both sequential numbering, and starting over with each folder, are available. Some people prefer to combine several MSG files into one multi-page PDF. Total Mail Converter can do that, just tick the appropriate checkbox in the wizard of the program. Need to sign PDF files? Just locate your PFX file and the program will add the digital signature to the converted emails. Both PDF and PDF/A formats are supported. 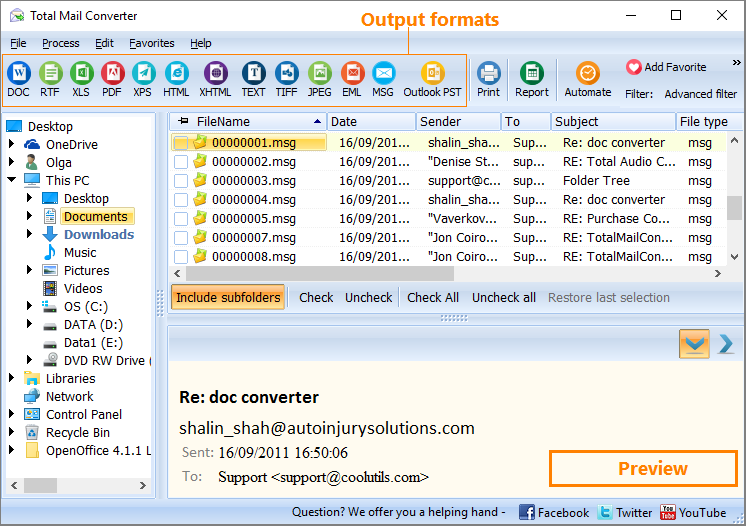 With Total Mail Converter you can not only convert MSG to PDF, but also protect the output files with user permissions. Allow or forbid editing, printing, copying to control the usage of your PDF files. The program can be purchased online. The license doesn't expire so you may use it as long as you need. All major upgrades for the first year are free. 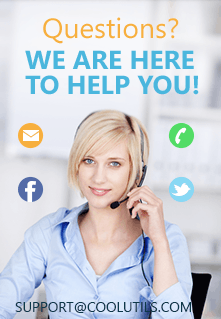 Basic technical support is free as well - no hidden costs! Unlike other email converters, Total Mail Converter does not require any 3-party apps like Microsoft Office, Acrobat Reader or Outlook. 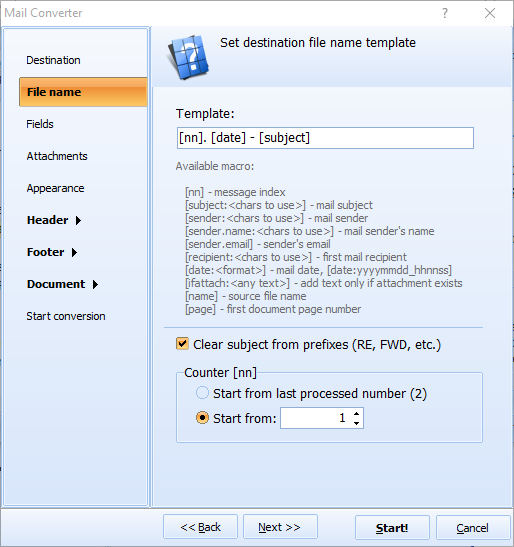 The latest version of Total Mail Converter supports MSG, EML, EMLX, MIM files. If you want to convert Outlook emails (PST/OST files), try Total Outlook Converter. The interface of the converter is very user-friendly. You select the emails and press PDF. You will see a step-by-step settings wizard. Note that you can rely on default settings any time. Those who want to convert emails via command line, will appreciate a BAT file auto-generation. You make the setting in GUI and get a ready-to-use command line - no need to learn the params. You are free to share with us your ideas and suggestions, so that we could customize the tool to suit your particular requirements. Download the free trial version and convert MSG to PDF for 30 days. Quite enough time to see how it works! Then buy the key and get free tech support and upgrades on a regular basis. Total Mail Converter runs fine on Windows 2000/2003/Vista/7/8/10.